I was first exposed to ProModel simulation products as an alternative to GPSS-H when earning my doctorate in Decision Sciences and Engineering Systems at Rensselaer Polytechnic University from 1988 – 1992. I taught one simulation course as a graduate elective for the U.S. Army-Baylor University Graduate Program in Healthcare Administration soon after graduation. Since then, I have employed MedModel as a component of several health administration courses, with simulation comprising approximately one-third of the course content. Simulation modeling is a wonderful tool to reinforce concepts from statistics and probability such as the effects of random variation, practical application of probability distributions, and employment of goodness-of-fit testing. Content was taught face-to-face and students used their laptops to create process analysis tools and control charts with me in class. The comparison of the first two columns of Table 1 between queuing results and simulation results confused me until I remembered that the M/M/1 queuing formulas represented a steady state solution. An 8-hour run with 20 replications shown in the third column produced results more closely aligned, but not as close as expected. Table 1. Comparing Queuing and Process Simulator Results Note – Expected times have been converted from hours to minutes. An extended 2080-hour run and an 8-hour run after an 8-hour warm-up were also subsequently modeled to determine if those efforts to move the system towards steady state produced results more closely aligned with queuing formula results. The results in the last two columns showed that to be true. During the remainder of the course, Lean principles were reinforced with a variety of Process Simulator models. Ragsdale, C. T. (2004). Spreadsheet modeling and decision analysis: A practical introduction to business analytics (4th ed.). Mason, OH: Thomson South-Western. Dr. Michael H. Kennedy, FACHE, arrived at the University of Texas Health Science Center at Tyler on January 23, 2017 to begin service as an Associate Professor in the Department of Healthcare Policy, Economics and Management in the School of Community and Rural Health. He has 42 years’ experience in teaching and health services administration that have been divided between academic positions and operational assignments in the military health system as a human resources manager, equal opportunity advisor, ambulatory care administrator, and other positions of leadership culminating as the Chief Operating Officer of a small military hospital. In past academic assignments, Dr. Kennedy has served as Director of the Health Services Management Program at East Carolina University, Director of the Doctor of Health Administration Program at Central Michigan University, and Associate Professor in the Health Services Administration Program at Slippery Rock University. Dr. Kennedy was also Deputy Director of the U.S. Army-Baylor University Graduate Program in Healthcare Administration where he was twice selected by the students as Instructor of the Year. Dr. Kennedy is a Fellow in the American College of Healthcare Executives. He was appointed as Chair of the Department of Healthcare Policy, Economics and Management on September 1, 2018. We will be conducting a live ProModel / MedModel 2018 Release Webinar on Wed Nov 15 from 1-2 pm ET. Ribbon Toolbar: The traditional menus and toolbars are being replaced with a fluent Ribbon toolbar like you find in Microsoft Office applications. The new Ribbon will make it easier to access the various modules and features within the application and better facilitate touch screen and high-resolution devices. Docking Windows: Windows will be docked within the new workspace interface, which means that when you adjust the size of one window, the others automatically resize accordingly. Say goodbye to overlapping windows. You will also be able to stack windows on top of each other and quickly access them from their respective tab thus saving valuable view space. Right-Click Context Menus: Context menus will be available in every table and accessible by right-clicking in any field within that table. For example, you will be able to quickly delete, insert or move a record with a simple right-click of the mouse. Join the webinar to hear all about what’s new in the ProModel / MedModel 2018 Release on Wed Nov 15 from 1-2 pm ET. Hospitals face increasing pressure to reduce costs while continuing to provide quality care to patients. The operating room, one of the most difficult and expensive wings to manage, must run efficiently in order to avoid unnecessary costs. Hospital managers often implement case cart systems which create a centralized materials management system. Case carts carry medical supplies within an operating room. The case cart system ensures that the staff obtain the necessary materials and instruments in time for their upcoming procedures (1. Making a Case for a Case Cart System). This study was undertaken to test the impact of implementing a case cart system on the OR process in a client’s newly configured OR Suite. The impact was determined by patient delays in any stage of the OR process that was attributable to case carts. Has the medical center acquired enough carts to satisfy the volume requirements? Are there enough Sterile Processing Department resources to support the case cart process? Will the case carts introduce any new delays in the patient process? How many carts need to be staged prior to morning start to ensure smooth OR Suite flow? The model outputs suggest that maximum patient throughput could increase by 38% in 6 months with the implementation of a case cart system. The following additional insights were also gained from the study. Determined that 55 small carts and 28 large carts are needed to ensure there are no delays due to case carts. Determined that 6 SPD FTE’s are required to pack the morning case carts and 4-5 SPD FTE’s are required during normal OR operation hours. Realized that cart picking must begin as soon as possible after midnight to ensure there are enough carts ready at the start of the day. To maintain a steady flow, the carts must be available and ready for the first two procedures. The modelers found that maximum case cart use time occurs early for a maximum of 1 hour. 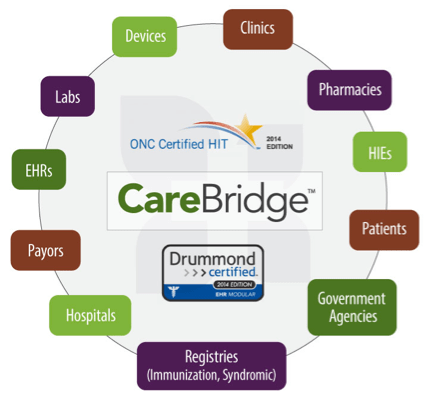 The implementation of case carts caused no significant delays in patient flow times. At these higher volumes both POCU and PACU spaces become limiting factors. A spreadsheet defines the “patient flow” process as it relates to patient type, location sequence, staffing utilized and task times. The spreadsheet “Staff” columns work together to schedule the first staff member required for each procedure step. Some procedure steps have the staffing flexibility of allowing an alternate position to “back up” the primary position. Times for each process step are defined in the Process spreadsheet using triangular distributions which account for work time as well as wait time. The medical center provided historical data such as original date of surgery, the service which performed the procedure, the surgeon assigned to the case, and the OR assignment. Operating room schedules are entered onto a spreadsheet. The model solution places the previously entered cases into schedule blocks and continues through the process until the patient completes the surgical experience. The simulation model uses the data on a worksheet to perform scheduling tasks by staff person, primary or secondary resource group, and times that shifts begin and end. Data entered into the Sterile Processing Department (SPD) worksheet is matched with the procedure from the “Cases” worksheet. The model solution will produce results indicating the turn around time on the carts, and will predict the performance of SPD. A worksheet defines the primary and secondary uses of each location in the model. Three triangular time distributions are used on this model (Min / Mode/ Max) to represent procedure times for all clinic procedures. The first triangular is used for the procedure itself. The second triangular is used for room turnover. The third and last triangular distribution is the set-up time occurring before the next procedure is performed. by each service. An entry of “999” indicates that “any” OR may be used. Services using carts receive a “1” in corresponding column while services not using case carts remain blank. References: “1. Making a Case for a Case Cart System.” Making a Case for a Case Cart System – Research – Herman Miller. Herman Miller Inc., n.d. Web. 14 June 2017. 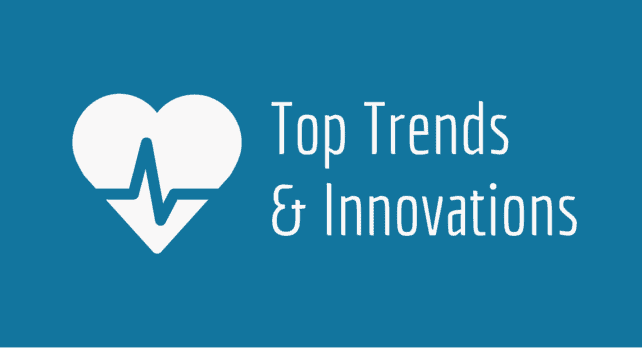 Hospitals that have used MedModel for decades to improve patient flow. Increasingly, however, ProModel customers are looking to extend these benefits by integrating their models with other IT systems to develop web-based decision support tools. These model-based tools utilize a ProModel engine on a server, read in live data and utilize ProModel simulation and optimization capabilities to provide forecasting, automated scenario exploration and prescriptive suggestions. Whether created by ProModel consultants or in-house analysts, a good model (traditional or integrated) is composed of several key elements as shown below. Process Forecasting: A good model simulates an important business process in a concise way, at an appropriate level of abstraction, and provides accurate forecasting to inform key business decision making. Operational Data: To the extent possible, a good model brings together real-world data (typically from several sources) that has been validated and normalized. Operational data feeds the model, but also is mined for distributions, patterns and trends that improve the model’s predictive and prescriptive fidelity. Resources & Constraints: Every business process has factors which throttle its throughput – often in non-linear and sometimes unexpected ways. A good model can forecast the impact of changes to resources and other constraints. Business Priorities: Providing information about business priorities allows a good model to do two things: a) predict and notify users about problems and opportunities, and b) utilize automated scenario creation and optimization to explore alternatives and seek decisions that lead to most optimal outcomes. 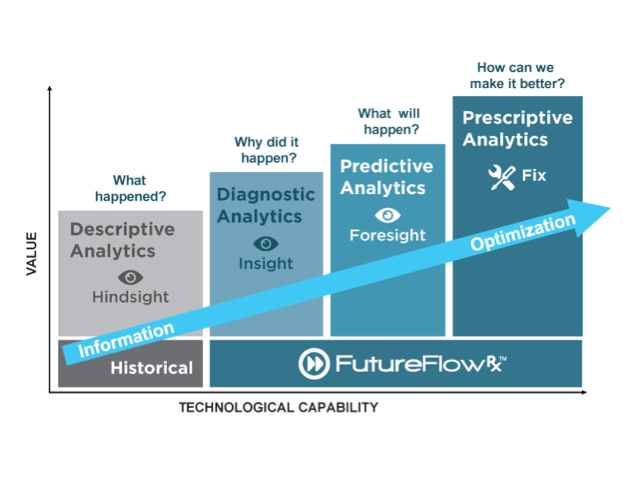 Prescriptive Analytics: A good model provides the prescriptive information to key decision makers as early as possible to support effective planning. These improved plans then feed back into the system as operational decisions and changes to resourcing, process and priorities. Custom integrated model(s) take all of the above, integrate it with live data and makes its power available in a live, web-based format so that tactical decision-makers at all levels of the organization can utilize it. In a live integrated environment, prescriptive analytics can be provided daily or even hourly in support of near real-time decision-making. AREAS capacity planning capability was featured in the Signal Magazine on page 2. The article states that Ingalls Shipbuilding estimated a potential annual cost savings of just under $1M from the use of this tool. Ties strategic targets to operational decisions, and continuously explores alternatives to provide early warning of opportunities and risks. Contact saleshelp@promodel.com if you are interested in learning more about custom model integration. A post-anesthesia care unit, PACU, is a vital area within every hospital where patients can recover from general anesthesia, regional anesthesia, or local anesthesia. ProModel built a PACU model for an architectural firm to illustrate the difference between two design options. This was accomplished by placing both designs in one model and having patients follow the exact same patient pattern as they enter the PACUs simultaneously. The left or A side of the model is a Single Room design and the right or B side is an Open Bay design. There are the same number of conceptual uses of PACU I beds in each design. The A side has 27 dual designated pre-op and PACU II rooms. The B side has 30 rooms, but designates specific rooms for pre-op and specific rooms for PACU II. Macros were used extensively during the model build to enable rapid changes to the interactions of the patients within the designs. Real arrival patterns from the hospital were used and entered using an arrival spreadsheet. The simulation revealed that the A side showed significant time savings. Were the ORs to be kept open the same length of time, more patients could be seen on the A side. The A side also reduced the time spent waiting, after initial arrival for a pre-op bed. For example, the average wait for pre-op bed on the A side was 3.9 minutes. On the B side this average was 52.8 minutes. That’s a pretty significant difference! Is Patient Care a Repeatable Process and Can It Benefit from System Improvements? In my eight years at ProModel, I have come to appreciate the serious talent of our consultants. I think they are one of our greatest assets and bring tremendous value to our customers. When I really want to get the scoop on a project, I turn to one of them and they explain the very complex nature of our projects to me in a way I understand and appreciate. One of these talented consultants is Dale Schroyer. Dale is a first time grandfather, which in itself is a new challenge. As he said “Its old, but its new. In his work as a Promodel Consultant Dale travels a great deal, however he does not really get to see or enjoy the places to which he travels. So he and his wife have decided to start traveling and just this year they took their first vacation to Italy and thoroughly enjoyed themselves. Next on their bucket list is another trip. They are deciding between Alaska or the British Isles. When I last spoke with Dale he was attending the NPSF Patient Safety Congress, in Scottsdale, Arizona one of those may places he visits but doesn’t really get to see. He was happy to be in 80-degree sunshine after weeks in cool, cloudy Massachusetts. One of the programs Dale attended at the NPSF conference was an emersion workshop on RCA or Root Cause Analysis. This program looked at what hospitals do when an adverse event occurs. Usually such events occur because of system faults or failures, not necessarily human error. The challenge is determining what the faults in the system are, how they can be fixed and instituting actions to fix them and measure those fixes. Dale found it a fascinating topic because of its similarities to what is done in the Aerospace industry in which he started his career. The instructors were Dr. James P. Bagian and Mr. Joseph M. DeRosier, one of whom is from the Aerospace industry. Both teach at the University of Michigan which is Dale’s alma mater. Dale spoke with them about simulation as a tool to determine hospital system shortfalls. They mentioned that the barriers to simulation are many and often the learning curve is long and cumbersome. Dale discussed using ProModel’s Process Simulator which can be an easier way around those barriers, since it is a simpler, Visio based tool. As most of the attendees at the conference were nurses, doctors and an eclectic mix of engineers, what Dale observed in talking and listening to many of them is that healthcare does not consider itself a process or system industry. At this year’s conference, conversations were being started around this very issue. The fact that doctors and nurses were having the conversation is a considerable step in the right direction. Many in attendance wanted to know what techniques would best serve them in convincing their coworkers back home that the system approach is a good and necessary one for the healthcare industry that can benefit patients, hospitals, nurses and physicians. Dale has over 20 years as an improvement consultant in the healthcare field at ProModel and Baystates Healthcare. One of his most significant consulting engagements for ProModel has been at Robert Wood Johnson. In this multi-year engagement, ProModel and Dale served as a trusted advisor. It was a project that did not just cover one unit of the hospital, but dealt with the whole evolution of the OR Suite. It was not just the building of a single model, but a collaborative work with positive and rewarding results. Part of what makes Dales so good at his job is the fact that he loves tackling new challenges. Working for ProModel guarantees that each day will be very different from the last. He will meet new people in a new environment and tackle a new problem. The first step he generally takes when starting a new project is to spend a lot of time listening to those with whom he will be working. He needs to understand their environment and what he must do as a ProModel expert to yield them tremendous value. Dale just earned a Data Scientist certification. The program he completed was from Johns Hopkins and required the completion of 9 courses along with a capstone project. His capstone focused on natural language processing and it brought all of the elements of the other 9 courses together and applied them in a new and fascinating way. As Dale and I closed our conversation, we were both wondering how others in the Healthcare Community felt about his notion that Healthcare is not a process or system industry. We, of course, disagree. What do you think? We would be happy to hear your opinion about this notion. Comment below or email me at ezohil@promodel.com. To recommend whether Dales should visit Alaska or the British Isles, email him at dschroyer@promodel.com. Interested in learning more about ProModel consulting, check out: http://www.promodel.com/Services/Consulting, or consulting@promodel.com.